← Cubelets: the modular robotics you’ve been missing! 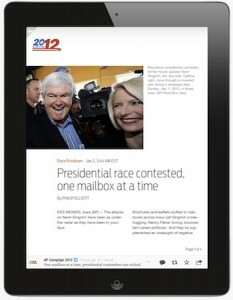 I’ve been in love with Flipboard since its very first appearance on the iPad (namely, my iPad). It’s one of those apps that really make sense about using an iPad just to browse literally my favorites news sources and has become my best social media hub. Not only it shows news & posts in a neat – and somehow book-ish – way, but it does so gracefully you’ll soon forget how you’ve been reading stuff through a browser. Be it a blog, a news site, Twitter or Facebook, you can have it all in a single page (or two) and see headlines at a glance and read them in a way that’s light years forward compared to any browser. Oh, did I mention you get NO BANNERS whatsoever? Recently Flipboard has moved to the smaller estate screen on iPhones providing a smaller yet compelling user experience – becoming a huge success among iOS apps. Not bad considering it’s a completely free app. Alas, one of the best thing about Flipboard is that it’s been improving its content sources, building up a solid reputation by giving users a reading guide with advices from reknowned media sources. This time it has signed a deal with Associated Press that will enable users to have full coverage on the 2012 US Presidential Campaign. A strong sign towards a tighter integration between conventional media and new players (and media as well) such as Flipboard on iPad – and still the first one (more to come during this year, I foresee)! 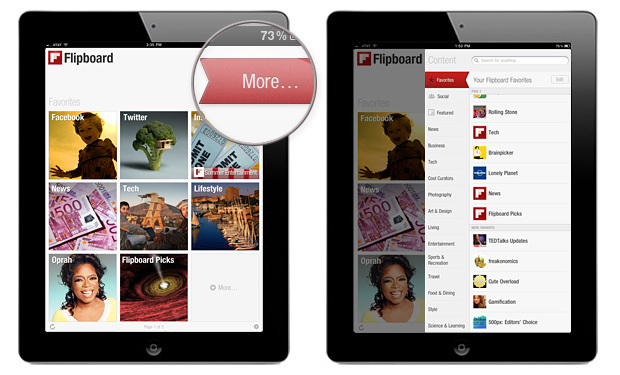 You can learn some lessons from Flipboard’s founder, well-known Mike McCue, on the video below. This entry was posted in 2012 Campaign, 2012 Presidential Election, App world, Apple, Business, Digital media, iOS, iOS 5, iPad, iPad 2, iPhone, Media, Social Media, Social network, Social news, Software, Tech industry and tagged 2012 Presidential Election, Associated Press, flipboard, iPad, News, social media. Bookmark the permalink.